How to know your plane? First and the easy way out, look for the name of the aircraft type to be written on the aircraft fuselage. Most airlines still retain it. This should be easy if you are closer to the aircraft parked on the apron. Now for the second part. For practical purposes, we will focus only on the big 2 giants of aviation – Airbus and Boeing, and close the gates on Lockheed, McDonnell Douglas, Antonov, Ilyushin, Bombardier, Embraer, Sukhoi etc. 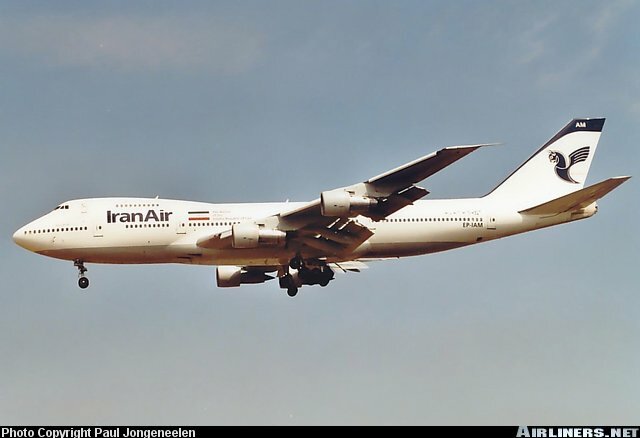 We will also only consider airplanes that are currently flying around the world in large numbers, which means no clearance for 707 or 727 to take off. Boeing is American and the largest global aircraft manufacturer by revenue, orders and deliveries. Airbus is European and a subsidiary of EADS, and manufactures half of the world’s jetliners. Boeing aircraft start with the #7 series. You have 737, 747, 757, 767, 777 and the new 787 Dreamliner along with the 747-8 Intercontinental currently under development. Airbus aircraft start with the #3 series. So you have A300, A310, A318, A319, A320, A321, A330, A340, A380 and the A350 currently under development. Airbus nose – Bulbous, curved. Check out the noses. Boeing will have more pointed noses while Airbus will have bulbous, curved noses. Check out the cockpit windows. Airbus cockpit side windows run in a straight line along the bottom, whereas most Boeing side windows run in a ‘V’ shape along the bottom. Also Airbus aircraft cockpit side windows look like one of their corners have been ‘cut’. Airbus A330 APU area – circular. Boeing B777 APU area – sawed off. Have a look at the APU Exhaust unit beneath the tail. Both Airbuses and Boeings have a circular outlet with the only exception with B777 having a sawed off unit. All Airbus wide-bodies apart from the 380 have a fuselage top that continues straight all the way to the APU exhaust. Boeings have a taper downwards. The end of Boeings are ‘tapered’ and slope on the top and bottom, whereas on Airbus the top is straight and the bottom is very sloped. The shorter and smaller planes are called narrow-bodies, as they have a single aisle. Airbus: A318, A319, A320 and A321. The longer and larger planes are also called wide-bodies, as they have twin aisles. Airbus: A300, A310, A330, A340, A380 and A350. Boeing: B747, B767, B777, B787 Dreamliner and B747-8 Intercontinental. 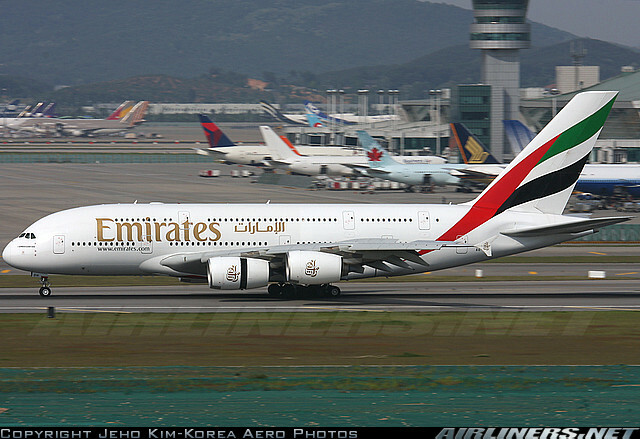 If it has two decks of windows and four engines, it is an A380. 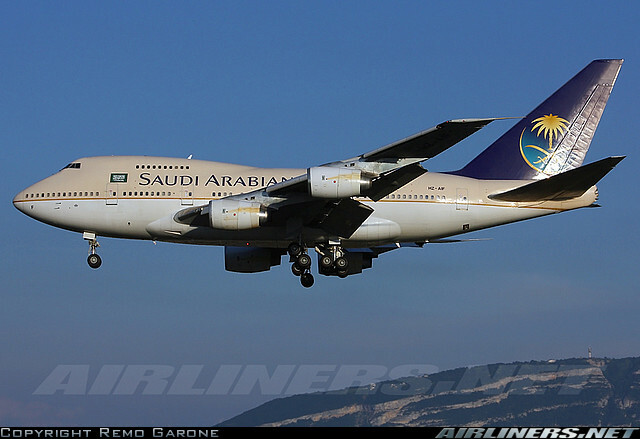 If it has one and half decks and four engines, it is a B747. 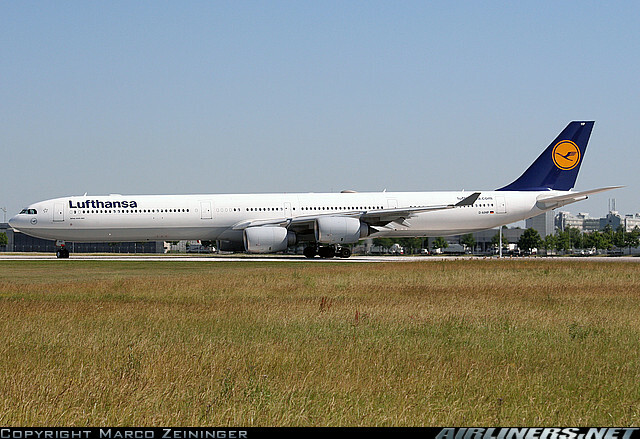 If has a single deck, longer fuselage and four engines, it is an A340. Check out the 3 pairs of wheels on each main landing gear of the above B777. A B777 will never have a winglet. The B777 has 14 wheels in a 6 6 2 configuration. 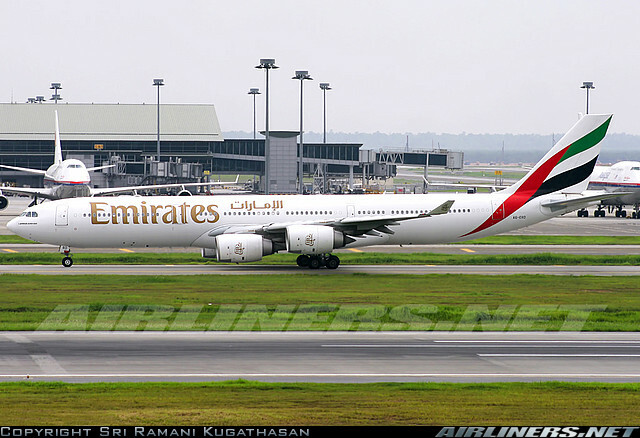 The ever-helpful Sandy Ward from Future of Flight has this great tip to identify Boeing 777s – 3 sevens have 3 wheels. Ed Kaplanian from Future of Flight has more tips to differentiate between A330s and B777s. The A330 with 2 pairs of wheels on each main landing gear. Wheels: The main landing gear on an A330 has two sets of wheels, what they call in the industry (a two wheel truck). The main landing gear on a B777 has three sets of wheels, what they call in the industry (a three wheel truck). Tail end: The APU (auxiliary power unit) exhaust outlet is mounted in the middle of the tail cone on an A330. The APU (auxiliary power unit) exhaust outlet is mounted on the left side of the tail cone on the B777. 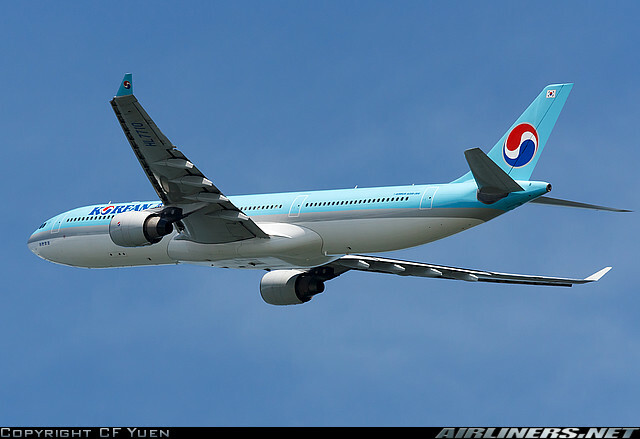 Wing tips: The A330 wing incorporates small wing tips on the wings. The B777 wing does not have wing tips. In terms of capacity, this how the Airbus airplanes in the A320 family compete with the Boeing 737 family. 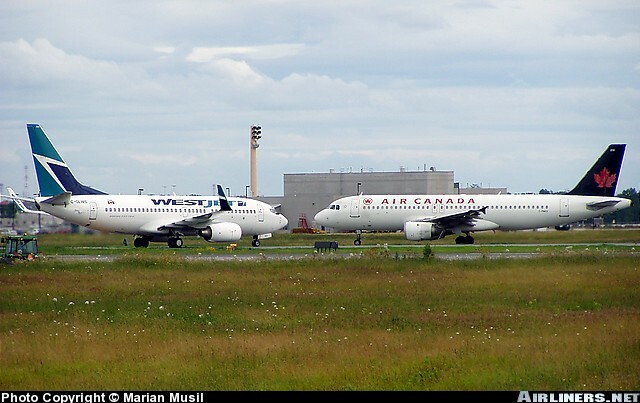 The B737-700 is on the left and the A320 is on the right. 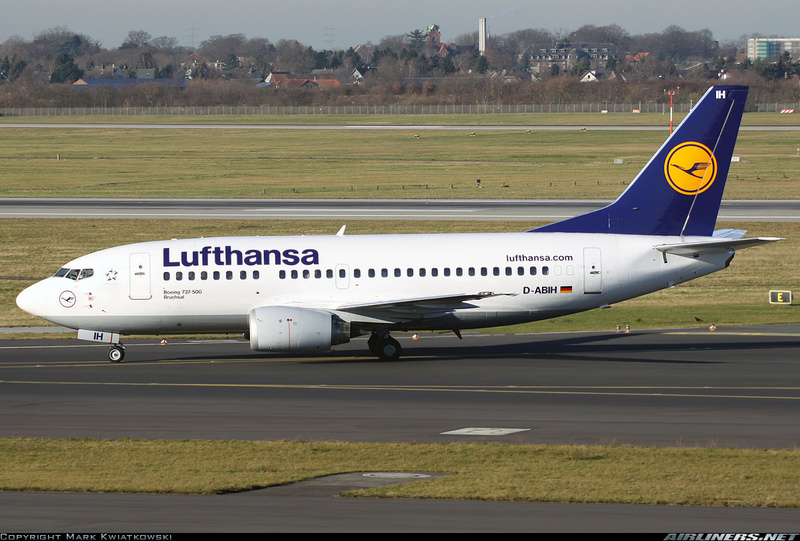 Note how the tail fin of the B737 rises from the main body at a sharp angle. 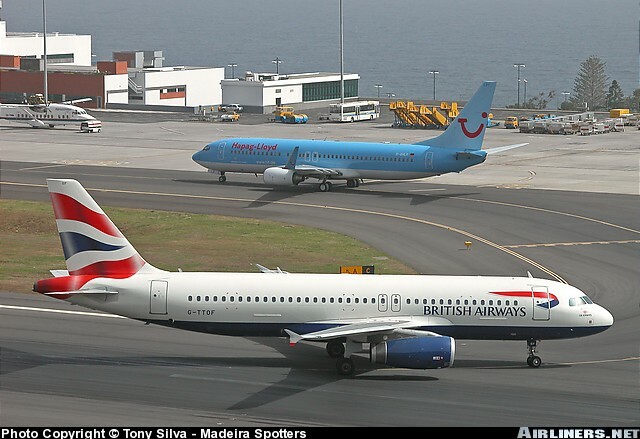 The A320 is at top and the B737 is at the bottom. The 320 fuselage is rounded at the front, pointed at the back. 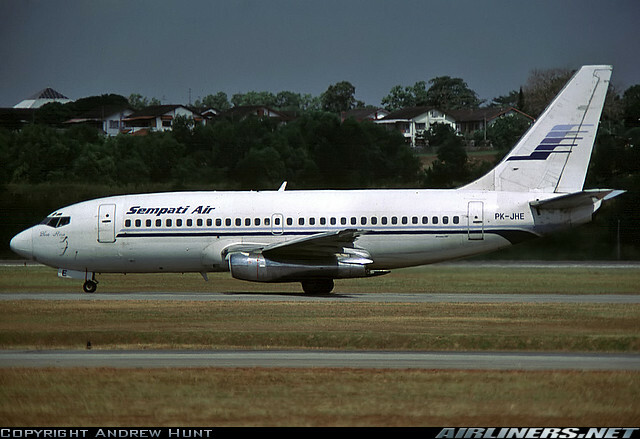 The 737 fuselage is pointed at the front, rounded at the back. Can you guess who is A320 and B737 in the above pic? In each case, the Boeing version is lighter and seats more people. The Airbus version sits higher off the ground compared to Boeing. The A320s have fly-by-wire technology, which means the computer plays a larger role in flying the plane while pilot has the final say in flying a Boeing 737. 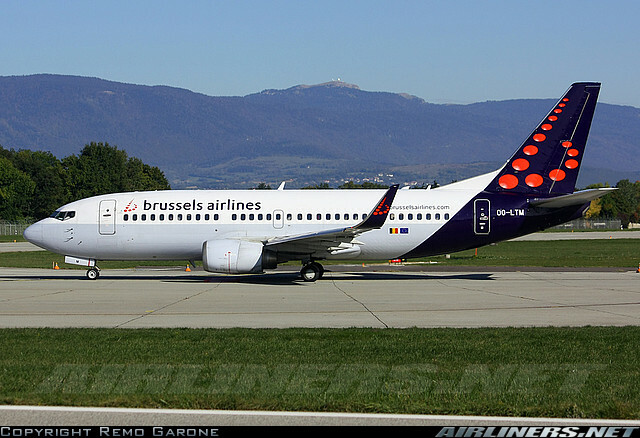 A320s are longer compared to B737s but have lesser range. Look at the tail fin to know your 737 from A320. 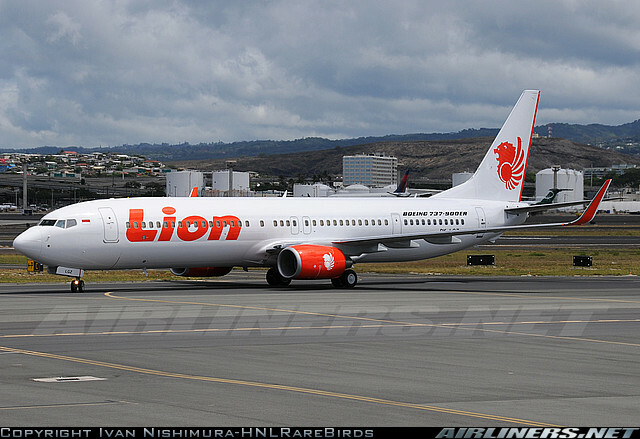 If the tail fin rises from the main body at a sharp angle, it is a B737. 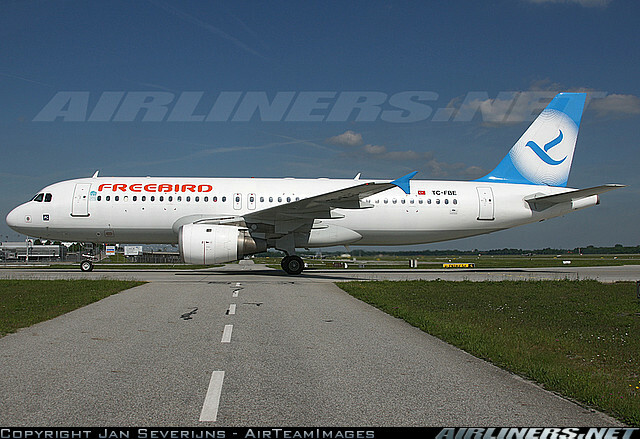 If it is larger, has rounder engines and a longer fuselage, it is an A320. 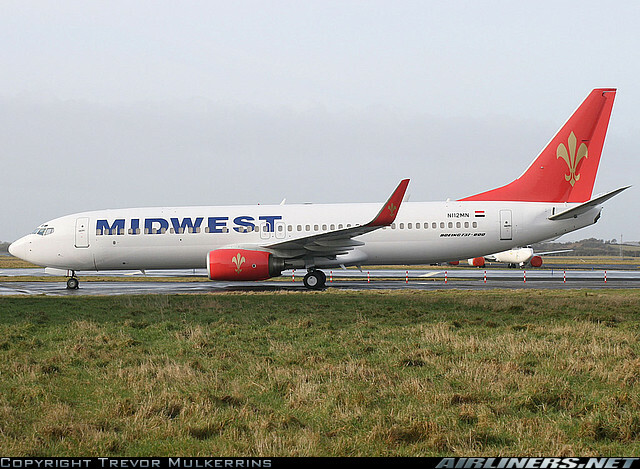 If it has a flatter engine at the base, it is a B737. 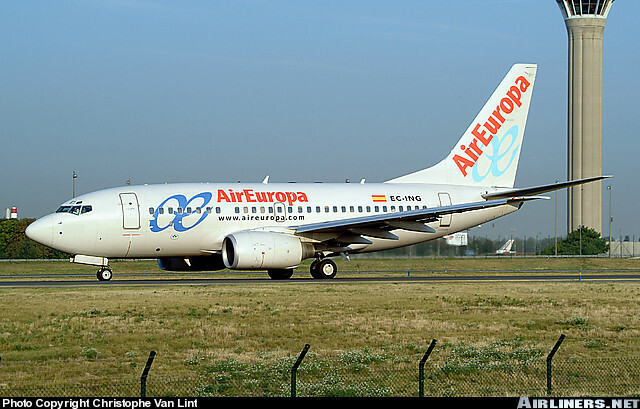 The B737s come in 9 versions: -100, -200, -300, -400, -500, -600, -700, -800, and –900ER. The –300, -400 and -500 fall into the category of Classics while the last 4 are New Generation Boeings. The –300s are the shortest while the –900ER is the longest. The only exception to the rule is –400, which is longer than the –300, -600 and –700 versions. The –100 and –200 have cigar shaped nacelles. The –100s are out of service. If the front of the engine nacelle is flattened and has an almost triangular shape, it is a Classic. 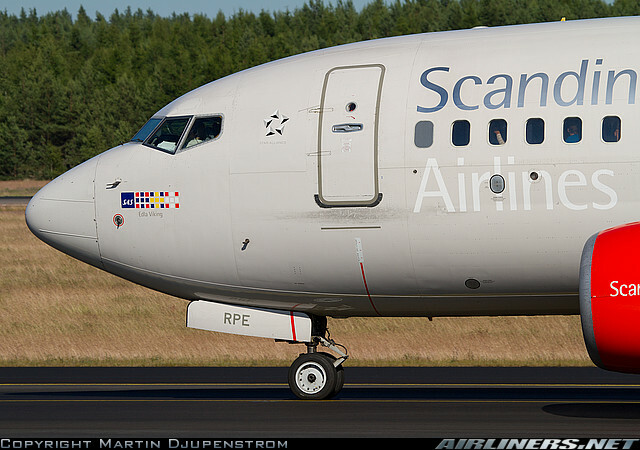 If the front of the engine nacelle is almost round-shaped, it is a New Generation 737. If you can look at the APU exhaust at the tail and spot 2 holes, it is an NG. If it has a single hole, it is a Classic. Also, all Classics have eyebrow windows. If it is a stubby looking Classic, it is a 500. If it is a stubby looking NG, it is a 600. If it looks “normally” proportioned and it is a Classic, it is a 300. If it looks normally proportioned and it is an NG, it is a 700. If it looks long and it is a Classic, it is a 400. If it looks long and it is an NG, it is an 800. If it looks really long and has 3 doors on each side, it is a 900. 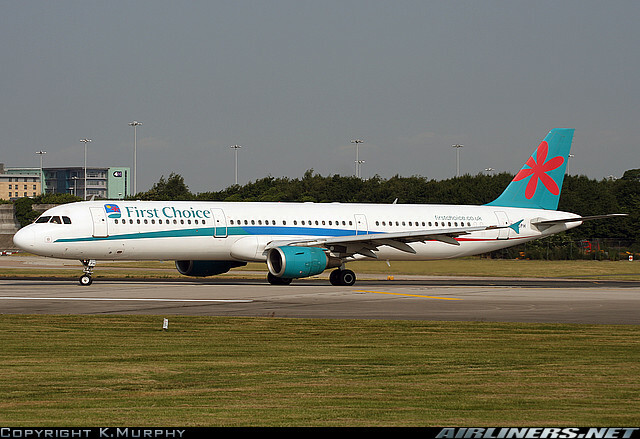 If you are checking out a B737 belonging to Oman Air, flydubai, Jet Airways or Air India Express it will be a –700 or –800. 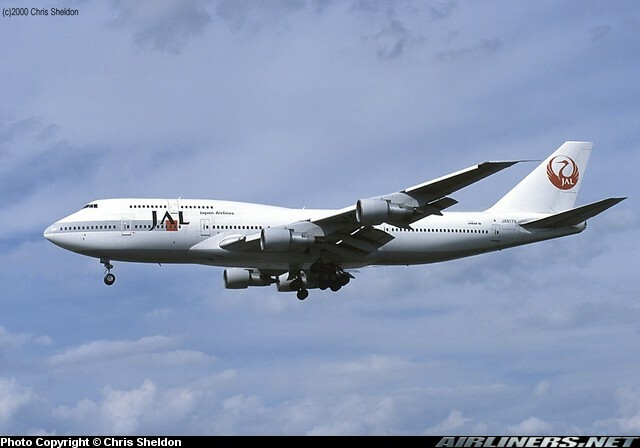 B747s come in five versions – 100, -SP, -200, -300, and -400. 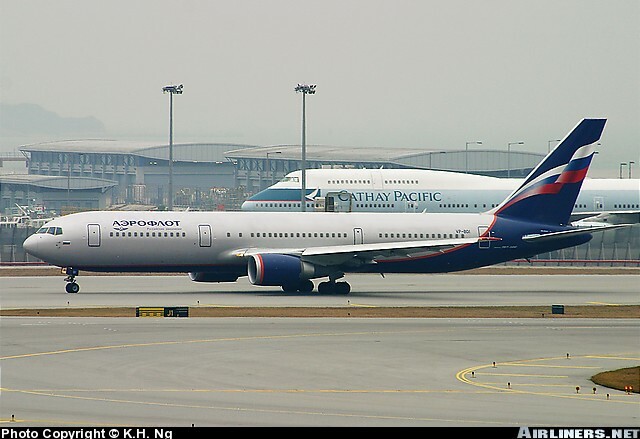 All versions are 70.6m long except the B747SP from the -100 family which is around 15m shorter. There are a few sub-variants but we will primarily focus on the big 5. The B747-100 & -200 have ten windows on each side of the upper deck. Some of the first -100s off the production line have only 3 windows on each side of the upper deck. The B747-200 has ten windows on each side of the upper deck. The B747-300 has an extended upper flight deck compared to the -200 and -100. It also has a door on the upper deck between windows. Only the B747-400 has wingtip extensions or winglets. 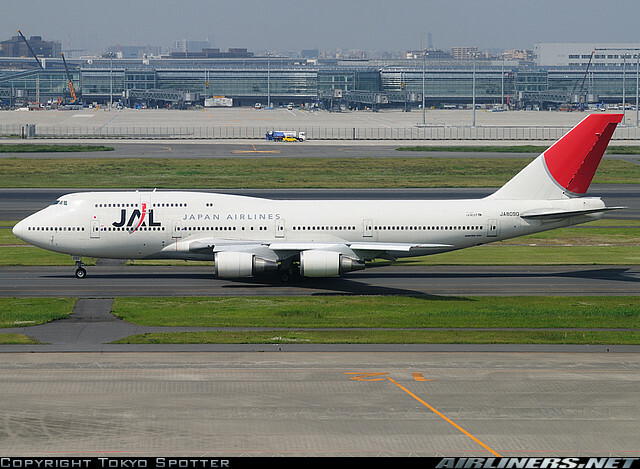 The B747-SP fuselage is shorter than all other B747 variants but compensates for it with a taller tail. 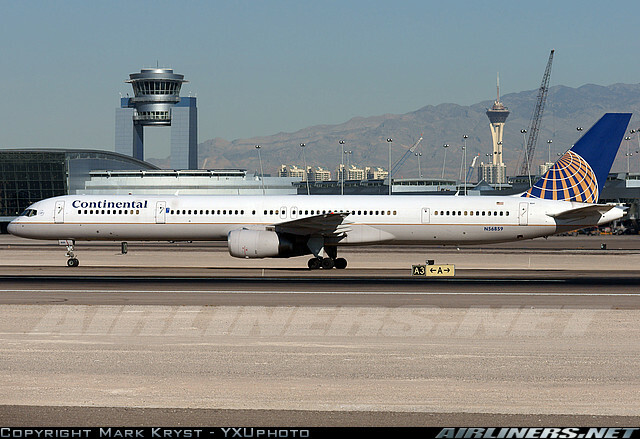 B757s come in two versions – 200 and the longer –300. The drooping dolphin shaped nose and thin, swept back wings of this aircraft type is a distinct giveaway. The –200 comes with 3 doors on each side with a smaller emergency exit window. The –300 comes with 4 doors and 2 over-the-wing emergency exit windows on each side. 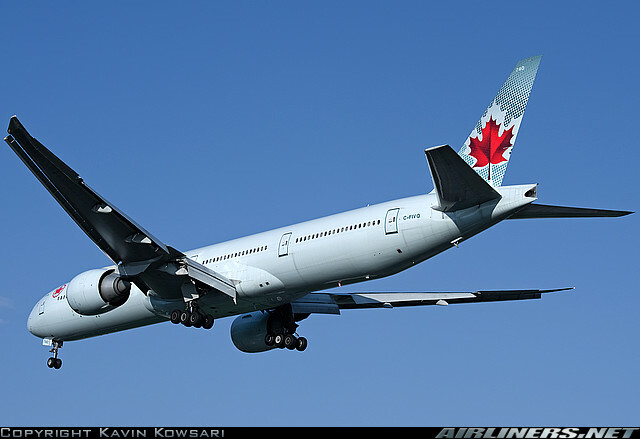 The B767 comes in 3 variants – 200, –300 and –400 with respective Extended Range versions. The –200 is the shortest while –400 is the longest. What are the key differences between a B757 and a B767? 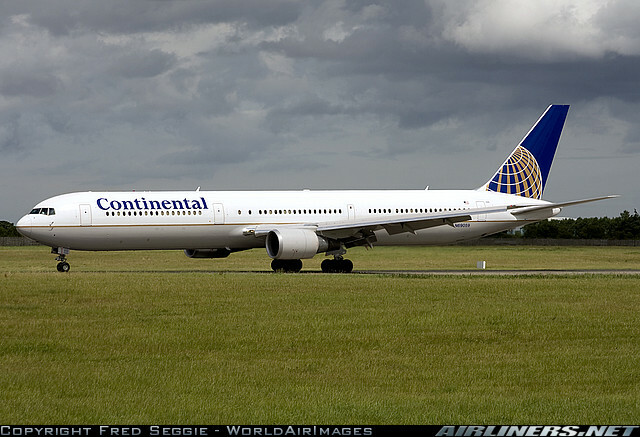 The Boeing 767 wingspan is 48 metres, 10 metres greater than the B757. The position of the nose wheel relative to the flight deck is much further forward on the 767 than on the 757. Also, the main landing gear is a long way back on the B767. The easiest way to identify a B777 is to look at its tail area for a blade-shaped tail cone. Also check out the main landing gear. If you spot 6 wheels on each landing gear, it is a 777. 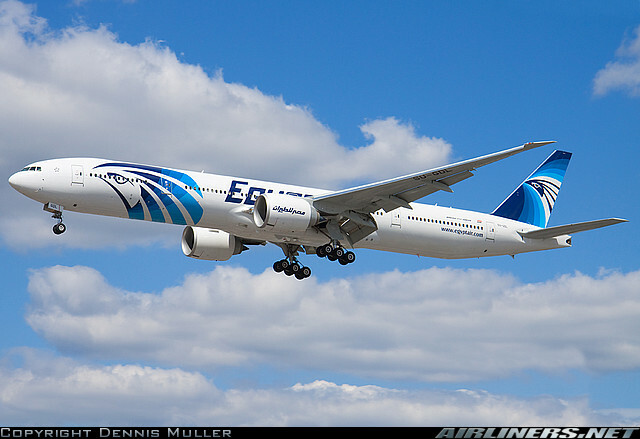 There are 4 passenger versions of the 777: B777-200, B777-200 ER (Extended Range), B777-200LR (Longer Range), B777-300 and B777-300ER (Extended Range). These variants are distinguished on the basis of their fuselage length and nautical range. The –300s are longer than –200s by over 10m. 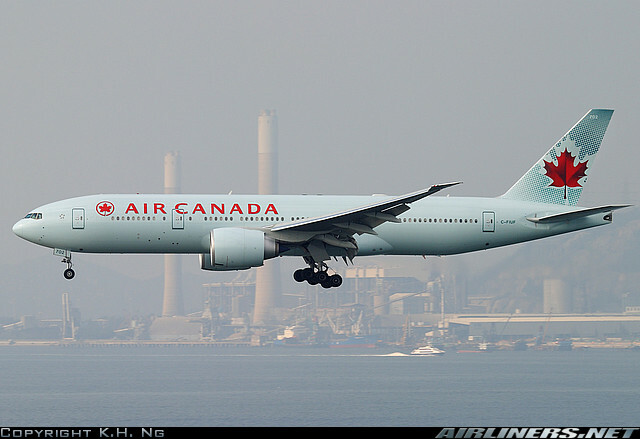 B777-200LR – 63.7m – the world’s longest-range commercial airliner. Boeing named this aircraft the Worldliner, highlighting its ability to connect almost any two airports in the world. 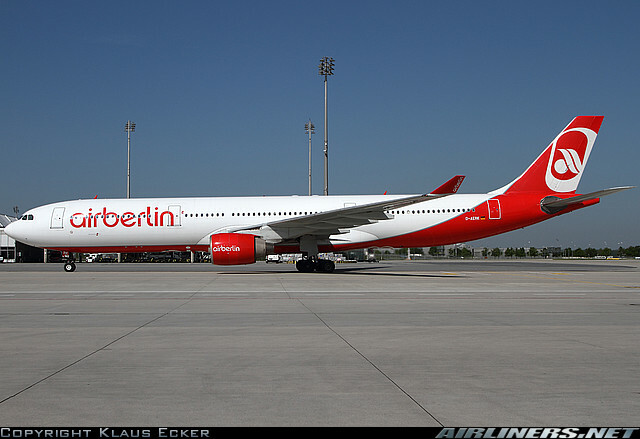 The A300 comes in 4 main variants – the B1, B2, B4 and the -600. 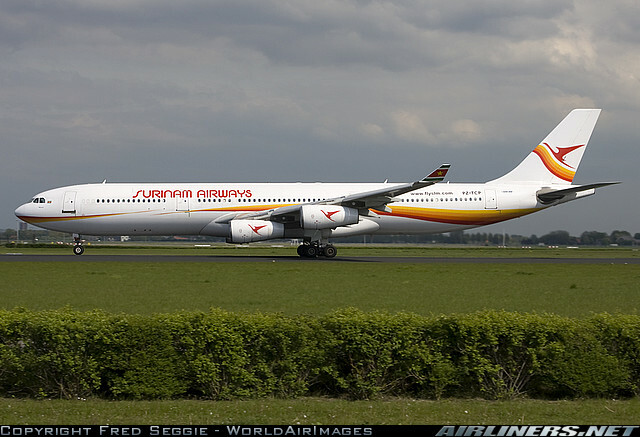 The A300-600 is a later version of the earlier A300B4 and features a wingtip that is shaped like a triangle above and below the end of each wing. 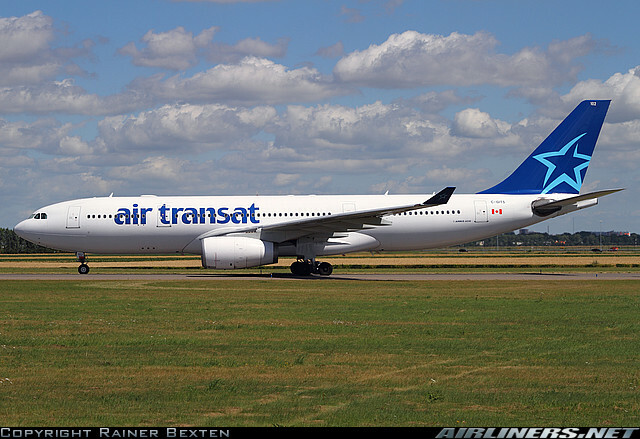 The basic fuselage design of the A330 is derived from the A300. 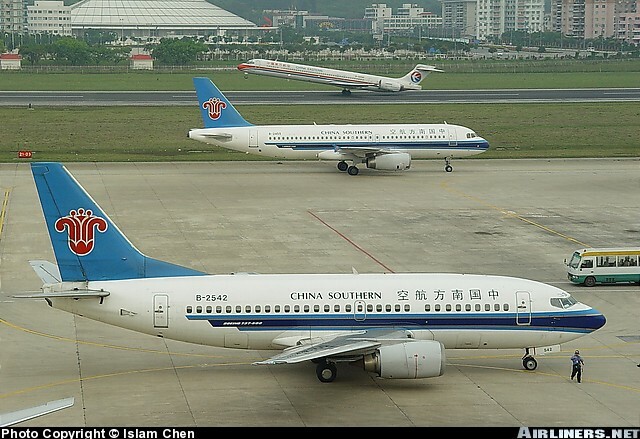 So how do you differentiate between the two aircrafts when they are parked next to each other? The A330 comes with winglets and is longer than the A300. 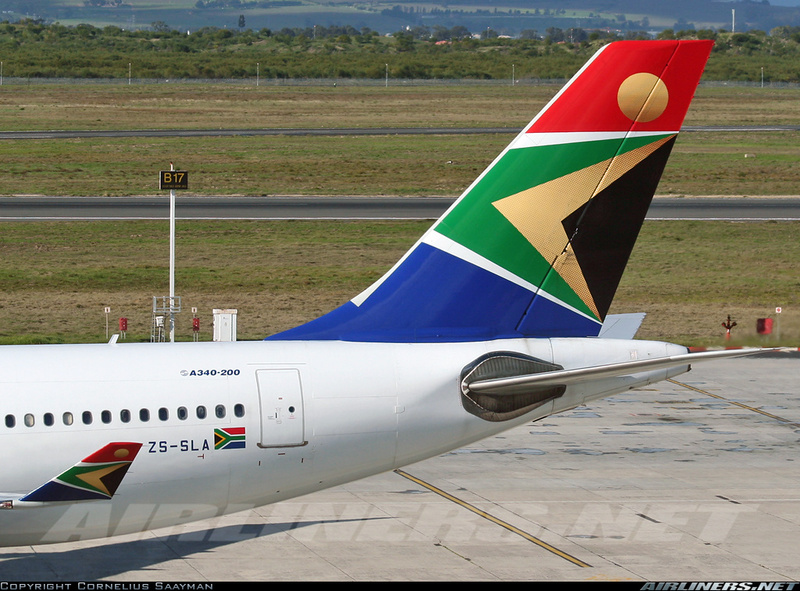 (A winglet is a wingtip extension that extends UPWARD from the end of the wing). The A300 may or may not have a wingtip. Also, the A330 has a larger wingspan (the distance in a straight line from one wingtip to other). The A310 is basically a baby A300. It comes in two main variants: -200 and -300. 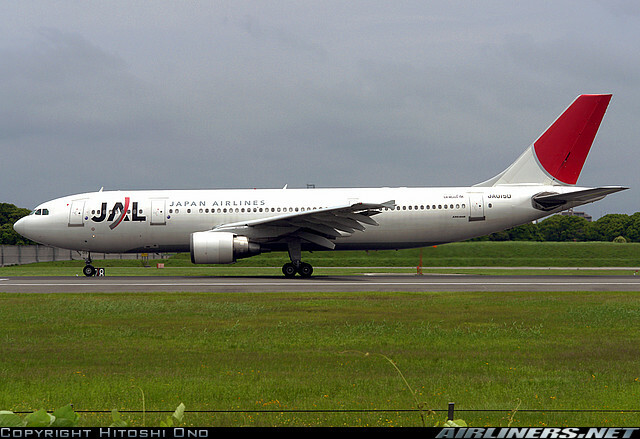 It has a shorter fuselage, a new, higher aspect ratio wing, smaller tail when compared to the A300. 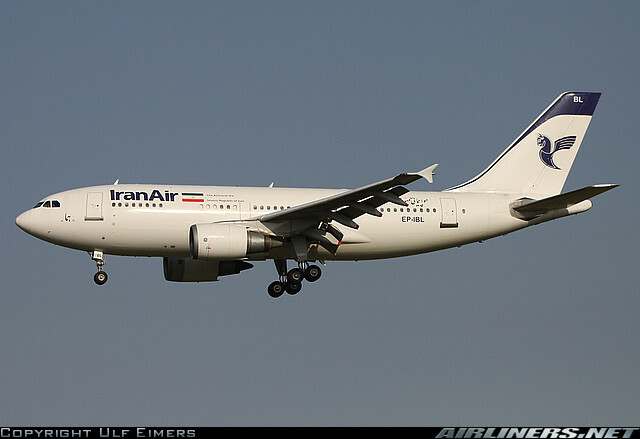 Also, the A310 has only two doors on each side, whereas the A300s have 3 doors on each side. The A320 family of jets includes the A318-100, A319-100, A320-200 and the A321-200. 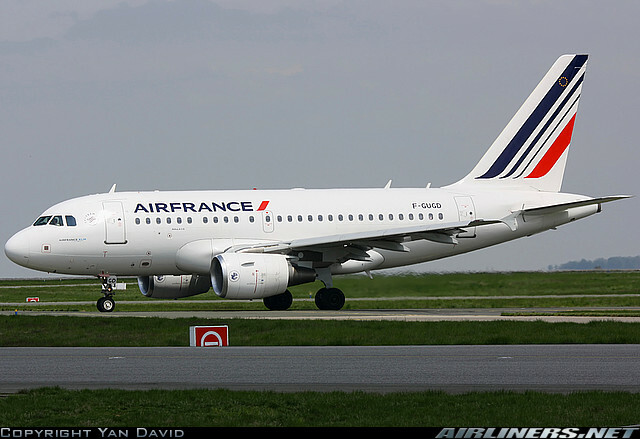 In terms of fuselage length, the A318 is the shortest (aka Baby Bus) and the A321 is the longest. The A320 will usually have two emergency window exits over the wings whereas the A318 and A319 have only one emergency window exit over the wing. The A321 will have four exit doors on each side. 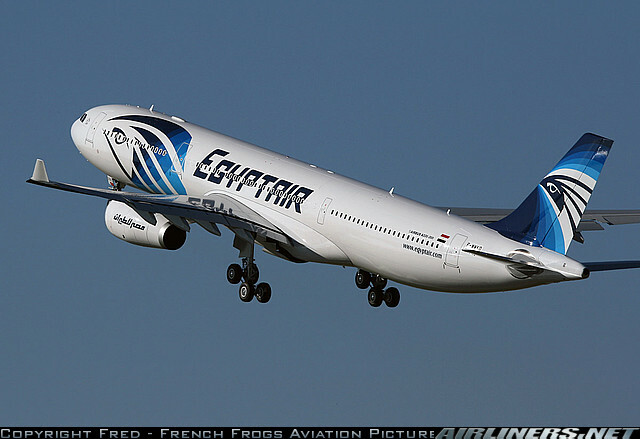 The A330 comes in 2 passenger versions – the A330-200 and A330-300. The –300 version is longer than the –200 version but has a shorter tail height. The –300 carries more passengers but has a shorter range. Also, note the 4 wheels on each main landing gear and the smoother curvature of the tail to distinguish it from a B777. If it is single deck and has got 4 engines, you bet it is the A340. 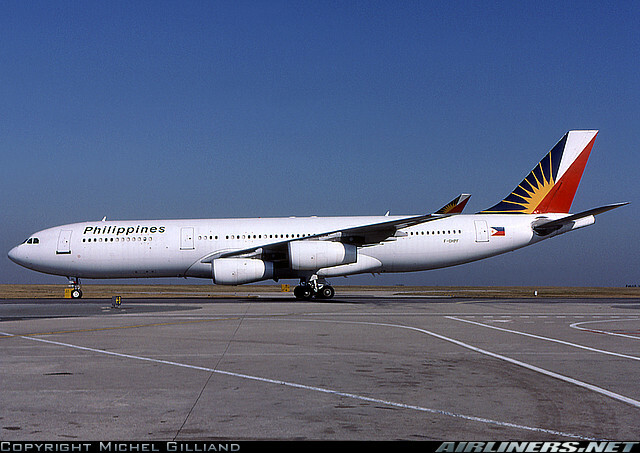 The A340 comes in 4 passenger versions – the A340-200, A340-300, A340-500 and A340-600. The fuselage lengths should help you distinguish between them. 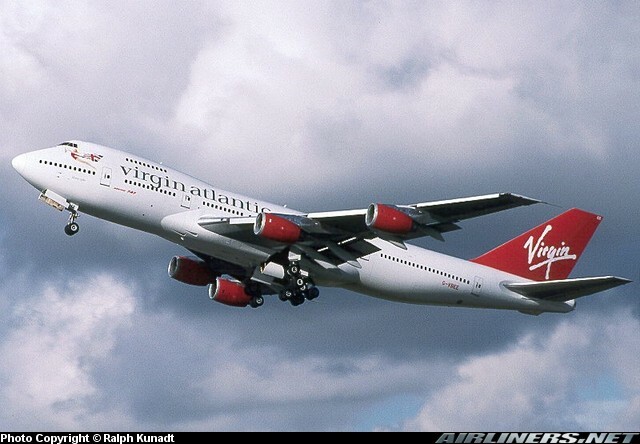 The A340-600 is the second longest airplane in the world after the B747-8 Intercontinental, currently under development. Both the –500 and –600 come in High Gross Weight (HGW) Versions, with enhanced range, fuel capacity, weight amongst other features. We will discuss more about the B787 Dreamliner, B747-8 Intercontinental, Airbus A350 (all currently under different stages of development and not yet flying commercially) along with the A380 in another post. Now that you are done reading this post, you are officially on your way to be an aviation geek. Please feel free to let me know your suggestions and feedback as well as sharing it with the world. 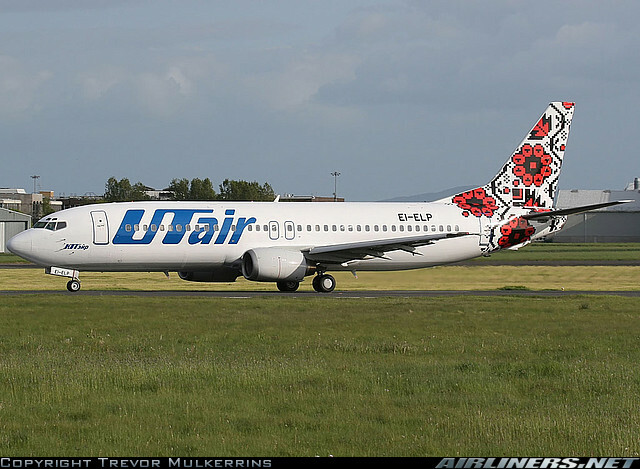 Copyright/credits: Many thanks to Airliners.Net & its contributors whose images I have used in this post. 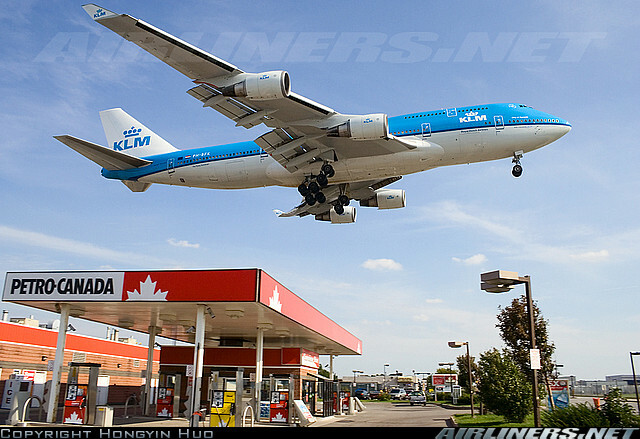 They are the finest source of aviation images on the Net today. I recommend you read through the comments as more readers suggest interesting ways to identify between Airbus & Boeing jets. If you would like to connect with me on Twitter (@arun4) for my aviation tweets, click here. Nice, very well written and formatted, exhaustive. Me an aviation geek myself. Thank you and keep it up! 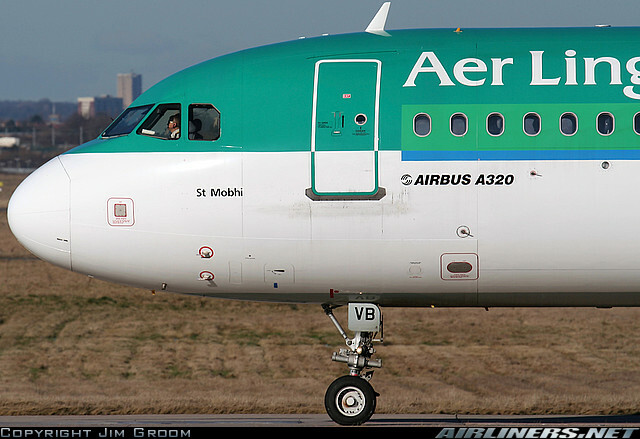 Also, A330 and A340 are the only Airbuses with pointed noses, I think. The A380 is ugly. Being another aviation enthusiast, I am going treat this as a bible and send to my pilot friends!! What a joy! Thanks so much, I learned a few things I didn’t know! Two things I’d add about understanding the differences between the A320 family and the 737 family: All A320s have the winglet fence that looks like a tiny winglet both above and below the wing edge (at least until AI certifies its new “sharklets”). 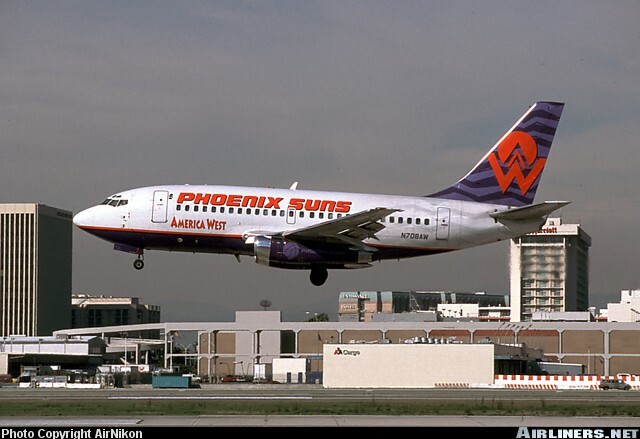 For now, only 737s have the big blended winglets (though not all 737s have them. Another: on 737 Classics (-300 and newer) and NGs, the leading edge of the vertical stablizer has a 110-degree (or so) angle about two thirds of the way down, whereas the A320 series leading edge is a straight line from the top to the fuselage. I’m a fan of this post! Nice detail. 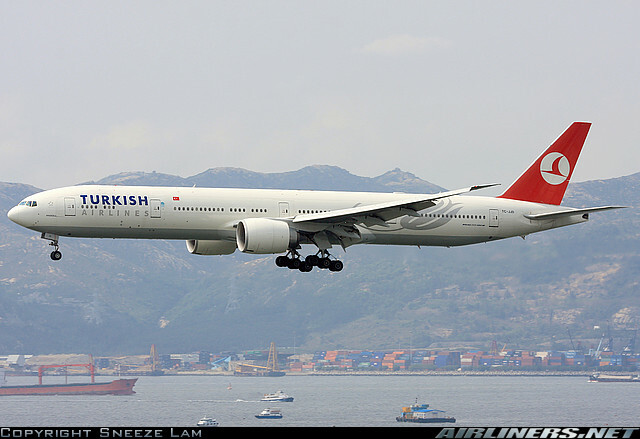 Just one thing gets to me – although I understand why its done – the Boeing 777 competes primarily with the Airbus A340. As a rule of the thumb, each twinjet 777 is slightly bigger/seats more passengers, and slightly outreaches (than) the competing A340. I would like never lose this page…! Could I make a personal back´up on my files?? Congratulations on a wonderful job. I learnt so much from reading your blog. Keep sending us more. It’s wonderful. 1) Main , Boeings sit lower than an Airbii . 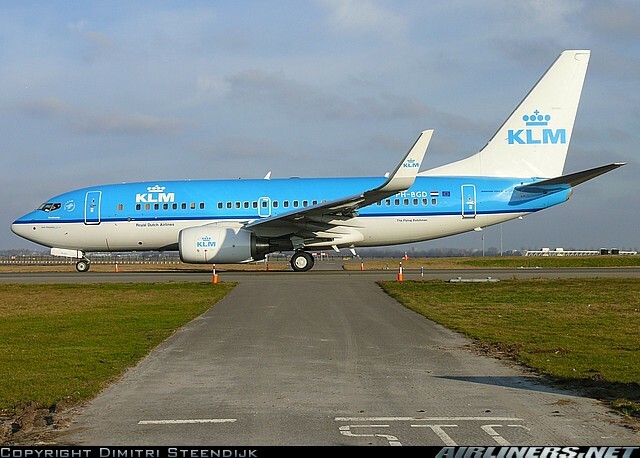 4) Boeing tend to use tall wingtips, while Airbus use a triangular shape ones. If you see a Boeing take off, the main wheels are flush with the fusalage . Airbus hide the wheels inside, leaving the fusalage smooth. 5) The end of Boeings are ‘tapered’ and slope on the top and bottom, whereas on Airbii the top is straight and the bottom is very sloped. 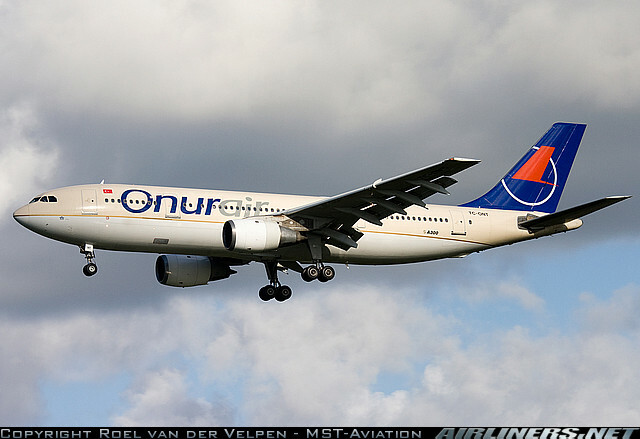 6) Airbus has small winglets above and below the wing line, Boeing’s are larger and only above the wing line. 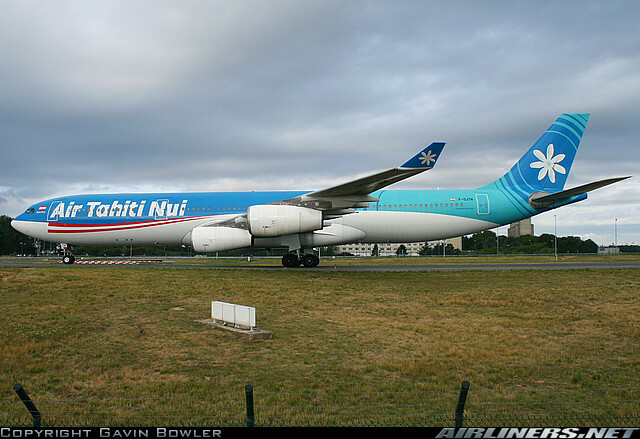 Actually, there’re no general rule across the entire Airbus families and the entire Boeing families. The rule about Boeing sitting lower than Airbus only applies for the 737 family vs A32x family as it is the other way around if you compare 777 family with the 330/340 family. The winglets/wingtip and landing gears rules also fail miserably as soon as U move across families. 1. Viewing from the side, highest point of the engine on Boeings tend to be parallel or even higher than the top of the main wing surface. Engine on Airbuses are ALWAYS set lower than the main wing. 2. The nose shape(Section 41) on Boeings are a bit sharper than on Airbuses. 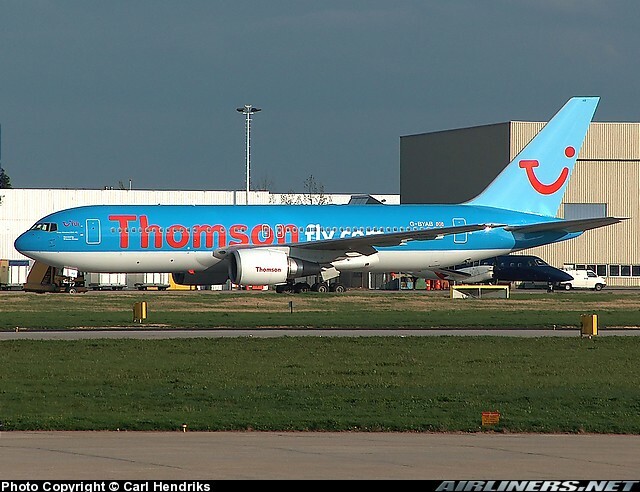 Though, 330/340 family are pretty close to 767/777 family in terms of this sharpness. 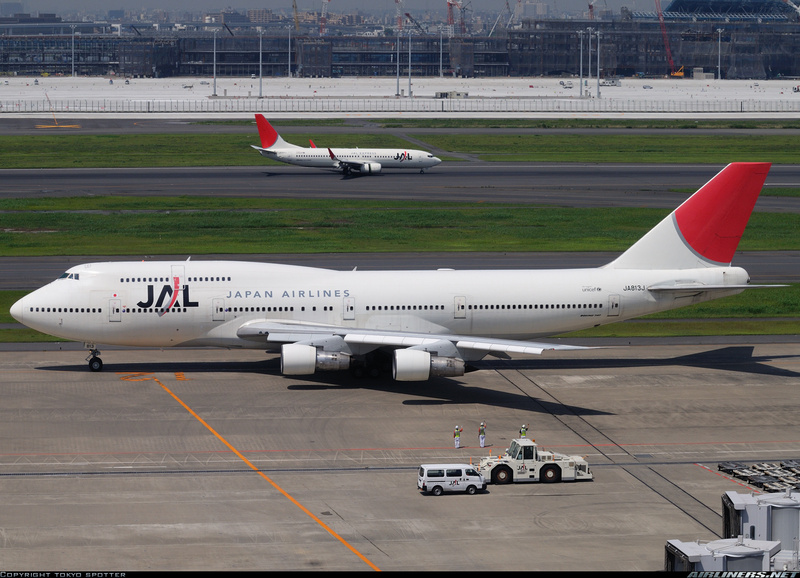 A340-200 and -300 series can also be distinguished by the no. of windows between the first two exits. -200 series has 13 and -300 series has 14. Appreciate the efforts to explain. keep it up. Thanks arun.. Excellent work.. thanks for sharing wid us. THE BEST………………owner’s manual for every Aviation Geek in the world!!!!!!!!!!! Thanks for the views. great work..
u doing a gr8 job mahn……….helpd alot thnx……..!kip it up ! Well said!!! We can identify the aircraft in the night as well by noticing the blink of Collision light. Boeing collision light will blink only once and the air bus twice at the time of landing!!! hello i have to say that it is awsome information about all of the types of airplanes! and its realy help me to know diferent of airbus and boing! thank a lot. Nice work, I think the tapering at the back (Boeing top tapers, Airbus is straight) seems to be the most reliable? It’s awesome! I’ve learnt quite a bit from this post; thank you for the detailed post. Very exhaustive! My problem is solved. No more straining to check the tinny writtings, often dwarfed by the cospicous operator names, to identify the models. The airport headaches are gone Very informative. I like! Thanks. I have and still working in airport expansion projects across the middle east- but no one explained me the difference so subtly. Just to let you know, the A380 and B747 has 2 sets of Landing gear under the fuseloge, but the A340 has only 1 set of landing gears under the fuseloge. Embraer seems to be a new entrant in the short range segment. Any views? Helps a lot, Thank you very much! I always forget about the APU!!! Great stuff. What is the most elegant commercial airliner flying today? I think it’s the Boeing 787 Dreamliner. It combines the grace of the 1950s De Havilland Comet with the refined aesthetics of the Boeings. Thanks a lot by the way for this.hope with type i ll continue to understand the difference.do they have any reason for there figures why the use of 7 for the Boeing and 3 for airbus? This is great stuff! Thank you so much for putting them together. Really it is a wonderful information. Thanks for sharing, and made my knowledge to grow more in aviation. appreciate your work. really helpful to differentiate between boeing and airbus. Arun – Your work is sheer genius. Surpasses every manual and guide I have ever read on the subject. One of my observations on the Airbus A320 series – the front landing gear holds the aircraft at a slight gradient over the rear undercarriage, giving the impression that the front of the aircraft is at a higher angle to the ground than the rear. I’m not sure if this applies to all the variants though. Arun – Your work is sheer genius. You’ve surpassed every manual and guide I have ever read on the subject. How to identify these a/cs at night time ? is it possible ? Both the companies use different kind of strobe lights & different pattern of landing lights. All the Boeing aircraft seem to have long front landing gear doors. All the Airbus aircraft seem to have tiny front landing gear doors. Airbus aircraft must have landing gear doors that retract upwards before the gear lowers. It also seems that on the Boeing aircraft the front landing gear is ahead of the first cabin door, while on the Airbus aircraft the front landing gear is underneath or behind the first cabin door. Great stuff, many thanks for the comparisons/contrasts. Wow! Awesomely interesting, now I too can partake in plane spotting as I have learned a lot from your blog 🙂 Thanks! Thank you. It did help me a lot although I work for an airlines. please explain ho can diagnosis airplanes when they are going up to sky from the earth? Very well written! Thank you for this. I have read this entire post while parked at IGI waiting for push back. Was trying to google an anamoly. The Indigo 320s have a light similar to a landing light on the side of the aircraft. Just below the i in Ind”i”go. I have been a spotter for long but had never noticed it. Any idea what that’s for? Thanks for this lovely and extensive read. Really good, When i started reading i found it is simple, but down the lane it was beyond reading… still its a goodwork.& hardwork . i can pass information to my son an aspiring pilot now 6 yrs,…. انا واحد من الناس الكان بيواجه صعوبه في التمييز بين boeing & airbus . It is really worthy. A clear information of the both Airbus and Boeing.Expect the pictures of Cargo flights also. Thank you, SAMEER.K.H. Nice job on the airplane differences! I have a question. How is the number 600 decided in A340-600? 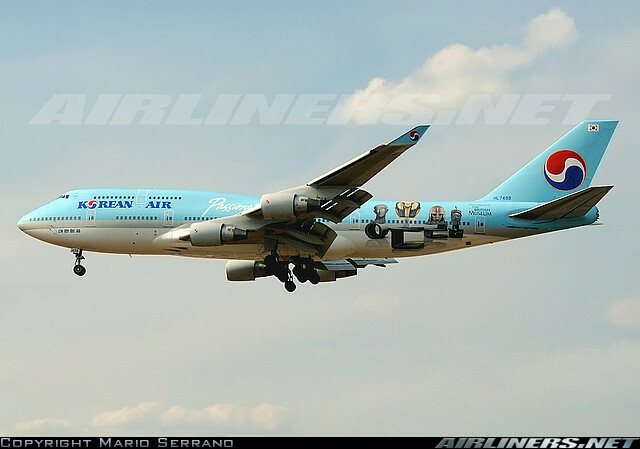 or 400 in 747-400? Thank you for this publication it really help me!! God job!!! Very good info. Just as aviation nerd info : The 757,, looked more like a Douglas plane, from the, 737 727 707 747, they all had the same nose as the B 52 bomber. Never very sure why the change in “face” Also if you look at the nose of the A320 family, they are very similar to the Lockheed P3 Orion nose !! 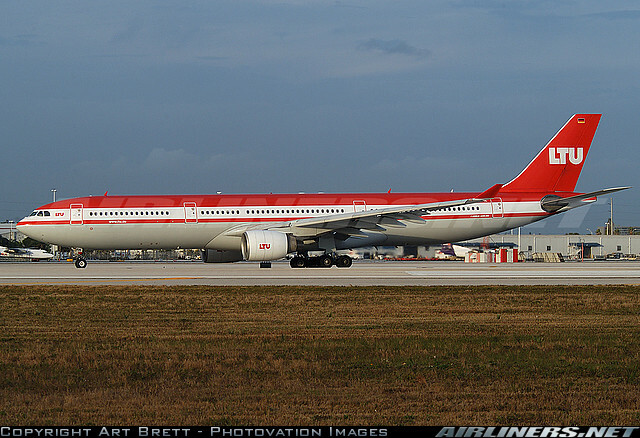 Also there is the Russian 707/ A 340 flying around, the two 4 engine imitations that looks just like a fat 707 or A 340.I think its I 96 . As a point in just liking to me the best looking planes ever made : Boing 727 200 and the Super VC 10. Notice clean wings, all at the back, they looked like the sky was home. This is succch a useful post. I’ve been preparing for my cadet pilot program interview for cathay and identifying aircrafts has always been quite challenging for me, since I don’t come from an aviation family. I feel a lot more confident now. Can’t wait to go out and try identify a few aircrafts in the sky. Thanks a lot Arun for spending time on making this happen. Excellent – thank you very much for this! Hi Arun, thanx alot, it was such a great job ever done by anyone in aviation industry. I can’t express my feelings how it helped me. Thanks for the best info. About airbus and boeing. Well done. This is a great reference for differentiating between Airbus and Boeing planes. 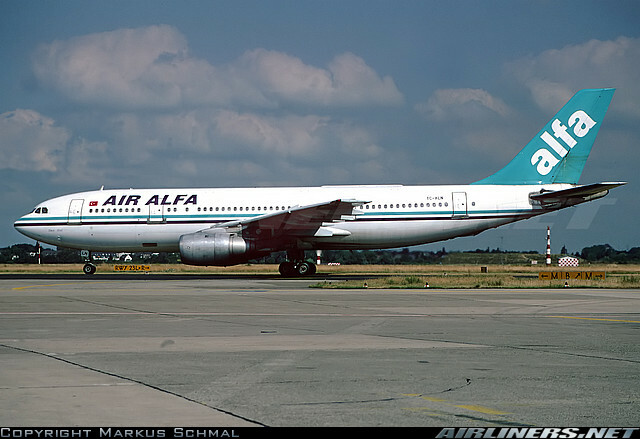 Great site, don’t forget the A300C4 cargo plane – SAA had a few some years ago. I have been looking for a web page that talks about distiguishing between airplane models for years. This is exactly what I need. What an awesome page of information. I LOVE it! Thank you! This is great reference guide, Sir! A VERY USEFUL SITE . Great post! Any suggestion on visual clue, from a distance of 2-3km, to tell an A330-200 from an A321? Both have 4 doors in each side. I don’t know if this will help you, but the A321 has the same landing gear as the A320 (2 front, 2 and 2 main gear). The A330 has 2 front, 4 and 4 main gear. That will help you to tell the A330 from the A321, at least close to the airport. Thanks for this wonderful guide for identifying jumbo jets. The only suggestion I have is to point out the difference in the shape of the cockpit windows first and foremost as this seems to be the easiest way to differentiate between a Boeing and an Airbus. Great post. Now I have to sit and study this in earnest so I can finally answer my son’s questions when we picnic near the support! nice work.its totally helpfull for aviation guys.well done. you are a genius…i love aircraft….yo Post is well explained..thanks alot. tell us something about fighter aircraft also. I have been retired from Aviation since 1985. G-AORW and it is still flying. Thank you! I recently changed jobs and found myself very close to DFW airport, so I see landings and takeoffs all of the time, but I can’t tell which aircraft is which. It bothers me because when I was a teen I lived near Love Field (Dallas) and could tell you about any commercial aircraft I saw (1970’s). This has been a great help. Now, near DFW airport, it is not uncommon for me to see three aircraft arriving at nearly the same time. It has been nearly impossible for me to ID the difference between an Airbus or a Boeing, a 757 or a 767. You have certainly cleared many things up. Now I need to know how to tell an Embraer and a CanadaairRegional. It is easy to identify the Airbus A300-600 when you look at the distance between the first two doors. This distance is very short, I think Boeing planned that the airlines put the first class in there. Economy passengers use the second door to get in. Think all airliners look the same? Have a look at this incredibly detailed analysis on the differences in aircraft from the two giants! Great informative piece. Your post is what got me started as an aviation enthusiast, much to my GF’s dismay!!! I saw a plane landing at BHX and wondered whether it was an Airbus or a Boeing. There was no way I could tell. I thought maybe the internet could tell me . . . and there you were! Thanks for explaining it all in simple terms too. Keep up the good work. PS, Where can I find the info that you promised about the B747-8I, the B787 and the A350? Great article, but “fly-by-wire” means there are no mechanical cables controlling the flight control surfaces, it’s all 1s and 0s from flight control computers via electronic cabling to servos and cylinders and such. Other than that, GREAT read though. I would to know about the wing blinking light duration time of Airbus A320. Thank you. Beautiful page, thank you! I look forward to your followup post comparng the B787, B747-8, A350 and A380. It has been a while! Your website is really superb. please can you tell what a 340 has a single aixle mid rear under carriage and what a 340 not? 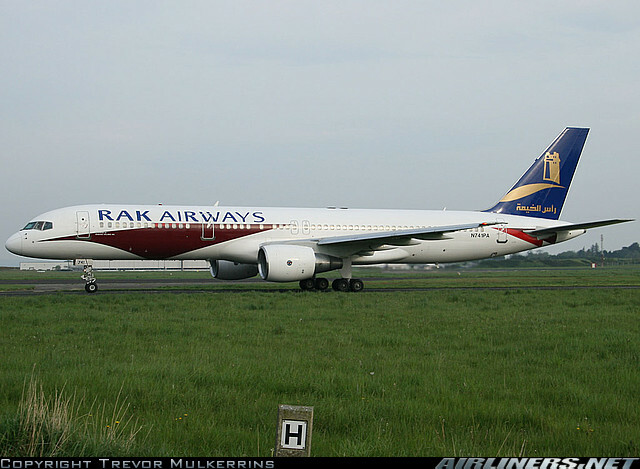 The two smaller A340s, the -200 and the -300 have a single-truck gear (two wheels) in the middle of the rear fuselage, while the two largest versions, the -500 and the -600 have a double-truck gear (four wheels). I have no words to thank you! As a aviation fantic, i had fascination for planes since my childhood.I had probelm in identifying Boeing and Airbus aircrafts except the SuperJumbo’s 747 and A380’s .Thanks Again! Have a wonderful day! I’ve always wanted to know the differences between the planes commercial airlines use and this post has an extensive explanation of that! After a little while, I was able to at least tell the general differences between Airbus and Boeing. It’ll take me a while to fully understand all the different classes and their names, but hey, baby steps! 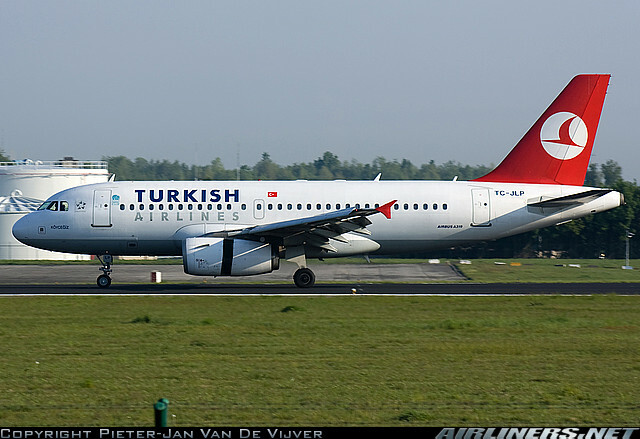 i currently saw a A319 with two emergency exits over the wing. Some good tips here. Maybe it’s already been mentioned but an easy tell between the smaller airbusses and boeings (A318, A319, A320 and A321 vs. Boeing 737’s) even at greater distances is that in Boeings the horizontal stabilizers extend beyond the fuselage and APU-outlet while as in Airbusses the APU-outlet extends beyond the horizontal stabilizers. So the most rear portion of the plane in Boeing 737’s is the stabilizer, the most rear portion of Airbus is the APU-outlet. You can’t let this page die! When are you going to update this page for the new aircraft coming into service – the 787s, 350, 380, and the new regional jets from Embraer and Bombardier? Came for a birding trip to Sydney. Rains. Ending up watching planes & thanks to your excellent post and some help from plane finder have become an accidental plane spotter ! Thank you Arun for making the hobby so accessible. Cheers. Great resource! Lots of good info for novices and more experienced spotters. Great work. Excellent feature – thank-you for taking such painstaking efforts, it is truly appreciated and by far the best such resource I’ve seen on the web. Thanks a lot for taking the trouble and making the effort to produce this most useful page. Although I’ve been increasingly interested in aeroplanes over many years now, it has always frustrated me that I could only differentiate between a few of them. All the reactions here pride you on helping people to distinguish between Boeing and Airbus aircraft-models, and rightly so, but I myself am equally pleased and greatly assisted by the ability to understand and pick out the differences between the various different models and types of the same aircraft, be it from the one manufacturer or the other. Thanks again for the time you’ve spent and the trouble you’ve taken: It’s very much appreciated ! !